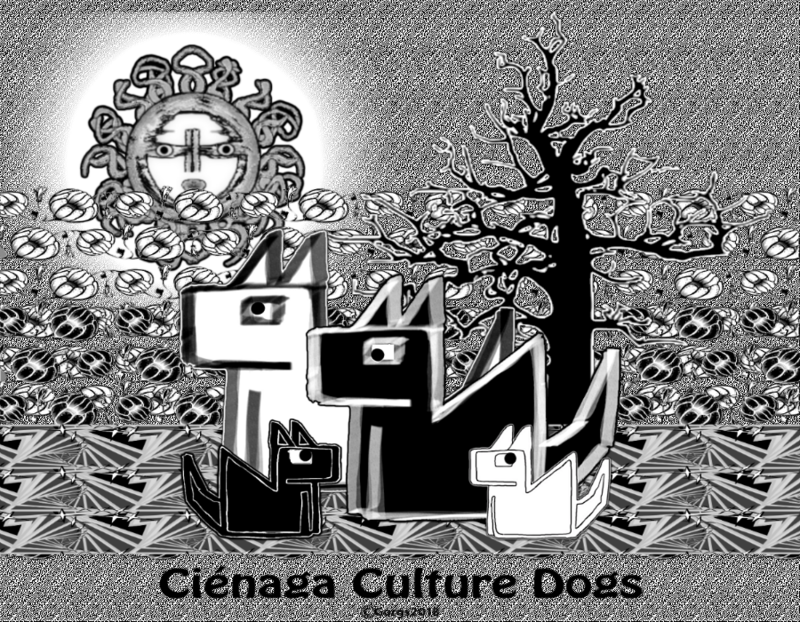 Ciénaga Culture Dogs. 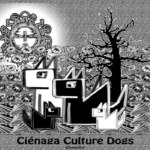 Actually, in the original Ciénaga (Argentina) pattern that another fit of “cultural appropriation” inspired this lot, they’re supposed to be llamas. But that’s neither here nor there. My beasties are dogs and that’s that. This family snap is for all the pre-Columbian cultures of South America that were wiped out, totally or nearly totally, over the centuries, by successive waves of invaders, both foreign and domestic, but mostly foreign, from the Arawak to the Tehuelches. They are the ultimate non-Charlies and, as far as popular awareness is concerned, non-existent; that is, few people know they ever roamed the Earth and hunted and gathered and laughed and mused and made love and dreamed in the deep forests and on the altiplanos and in the green valleys and all over the endless plains. I mean, when was the last time you saw a poster proclaiming “Je suis Mapuche!”? Just as I’m still waiting for one screaming “Je suis Grenfell!” It’ll never cease to amaze me the infinite capacity of Crapitalism to pervert the course of reason and convince “the people” of the righteousness of its actions, no matter how cruel, unthinking or repulsive, so that the colonization of South America, or the invasion of the North American West, or that of Iraq, for that matter, were philanthropic, civilizing feats undertaken for the benefit of the ignoble savages that inhabited those places. Just like the enquiry into the Grenfell social cleansing* has resulted in a court ruling that will see the owners of dwellings with dodgy, combustion-prone cladding, lumbered with thousands of pounds, as they have been deemed responsible for the removal of said shoddy materials and replacement with newer, safer ones (very possibly also of dubious efficacy). Really, if the creative inventiveness of our dear leaders could be directed towards the common good instead of the major benefit of the racketeers, this world would be a sodding Garden of Eden, forsooth!